It demands a strong financial muscle for a TNM Super League club to fulfil its fixtures in a season.It has to meet costs of transport, accommodation, food and players’ allowances. The league’s 16 clubs yesterday declared that they struggled in the just-ended 2018 season. 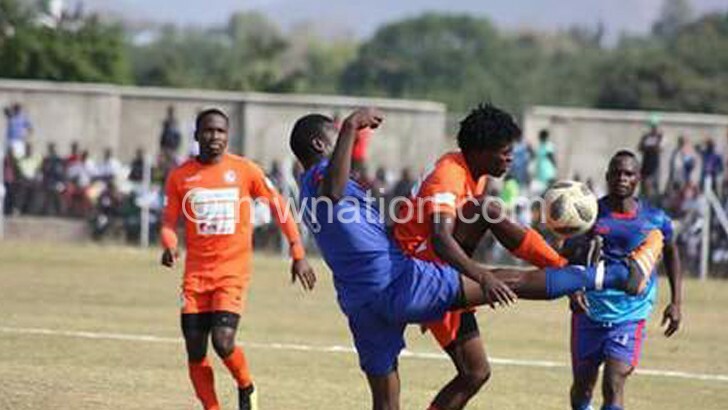 Karonga United general secretary Ramzy Simwaka said their expenditure was at least K50 million but they got only K7 million in return while Kasungu-based TN Stars’ operations manager Khumbo Chipeta said they generated K11 million despite spending K48 million. Apart from that, the two sides told The Nation that they are yet to settle debts amounting to K10 million and K13 million, respectively. Even crowd pullers Nyasa Big Bullets and Be Forward Wanderers, who were the top biggest earners with K56 million and K42 million respectively, say they did not make profits. Bullets administration manager Albert Chigoga and Wanderers treasurer Robert Mbedza could not give a clear picture between their expenditure and returns. “I cannot give you the minute details about our expenditure and returns at present as we are still compiling the figures. But, generally, I can say we made a loss. This means things could be worse for our operations if we did not have a sponsor,” Mbedza said. Civil Sporting FC general secretary Ronald Chiwaula said they also invested more than what they gained in the league. However, he did not go deep into financial analysis details. Soccer analyst and marketer George Kaudza Masina said the clubs poor gains in the 2018 Super League is a sign that local clubs are not doing enough to operate as commercial entities as per club licensing requirements. “Despite commercialisation being touted, the clubs lack capacity to run as business entities. There is need for all the clubs to be equipped with football marketing strategies whereby they can sell their clubs to the corporate world,” he said. “The challenge with our super league teams is their over reliance on gate collections. Chipeta concurred with Masina that local clubs have not done enough to maximise their revenue through numerous channels including merchandise such as scarfs and T-shirts.